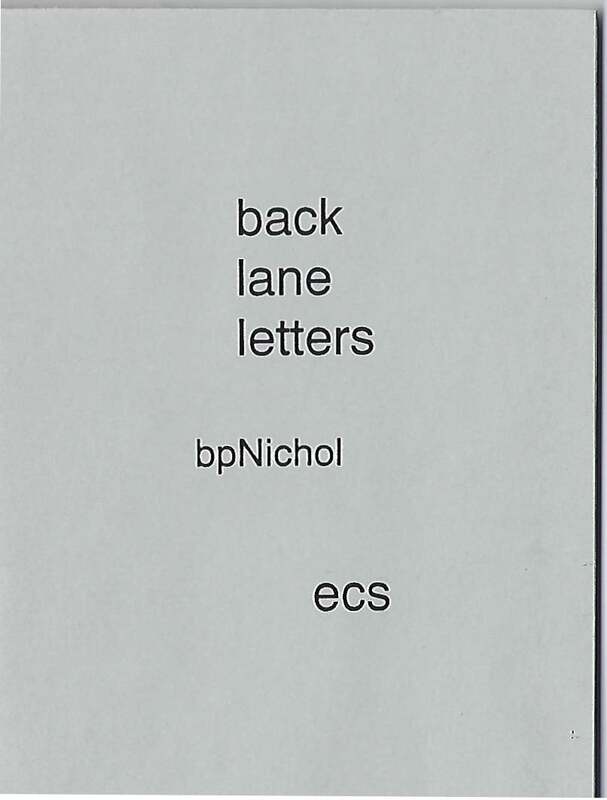 Back Lane Letters. Toronto: ECS, 1994. "twobitter forty-nine". Copy 6 of 200. Reproductions of various ideopomes and concrete works, as selected and reproduced by Nicky Drumbolis.